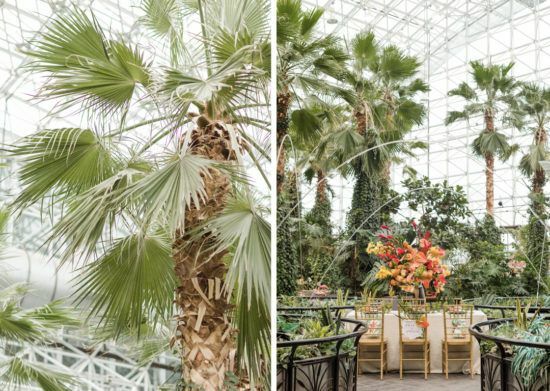 The Crystal Gardens, in Chicago’s Navy Pier, are a hidden gem tucked right in the heart of the city. Their beautiful greenery set inside a glass atrium gave views right onto Lake Michigan. A perfect summer getaway destination! 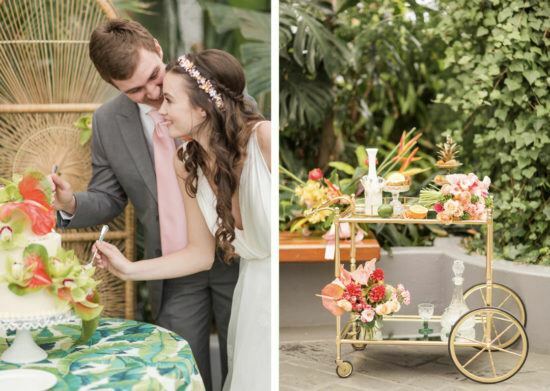 In the center of it all, Heather Benge Events designed a tropical-inspired tablescape with just the right balance of bold and neutral hues. 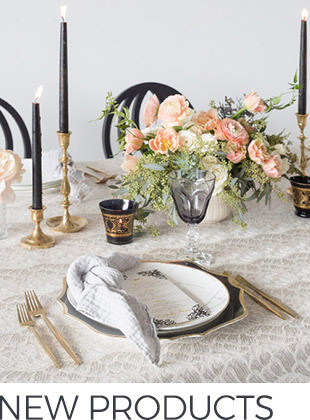 Our Bone Brookline, a linen-inspired fabric, set the base for the bright decor. 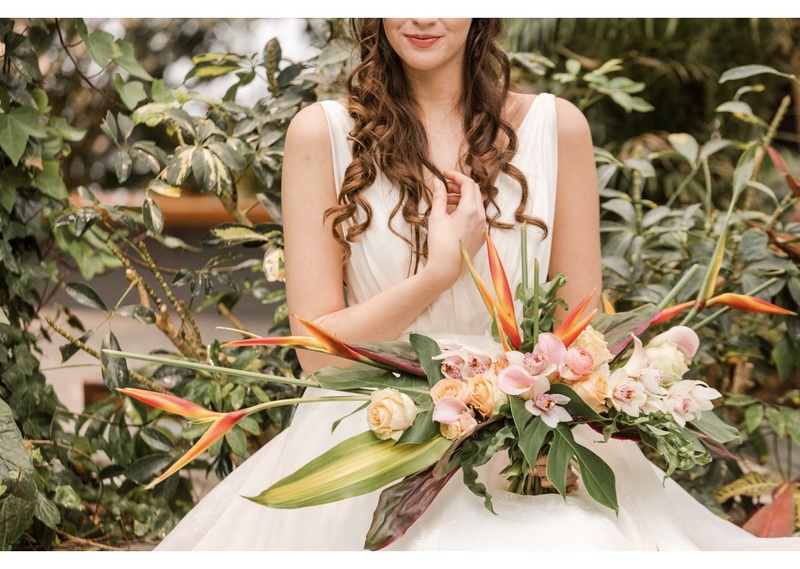 We’re obsessed with the floral arrangement from Intrigue Designs! 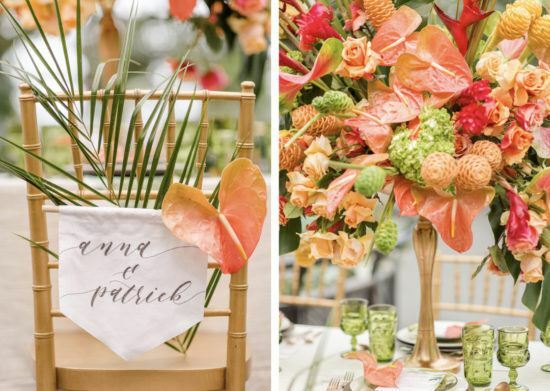 Shades of coral and red with Anthuriums galore sat among Birds of Paradise and Monstera Palm Fronds. The perfect arrangement for a summer wedding with tropical flavor! 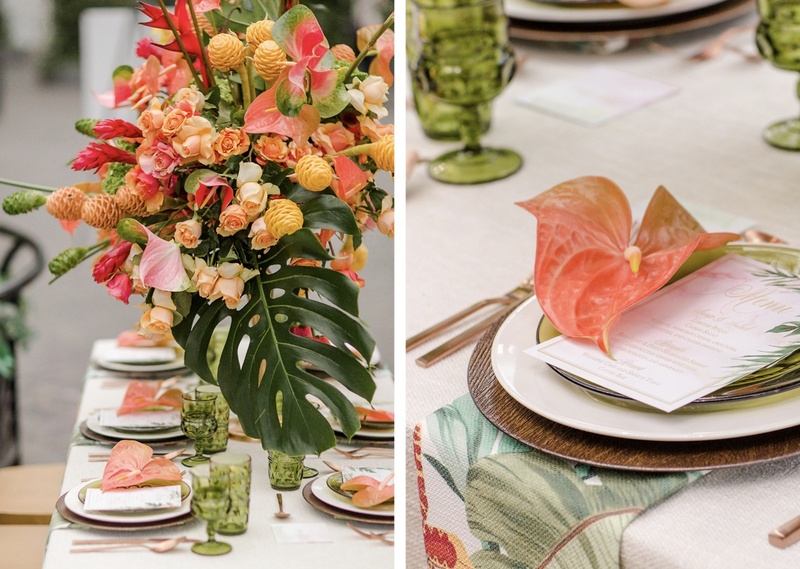 We love how the flowers tied in with our Tropical Maui Napkins, giving the whole design a destination-friendly vibe. And it doesn’t stop there! From the lining on Emery Ann Design’s envelopes to the decor on Chicago Custom Cakes’ delicious cake, everything had a hot twist. 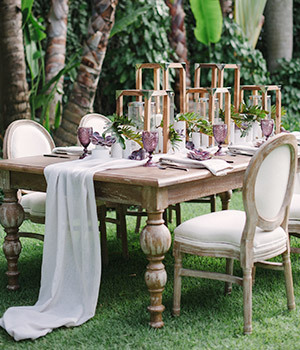 Add to that our Palm Springs linen and a boho-inspired backdrop, from Boho Blush, and you’ve got just the right place for a cake cutting. 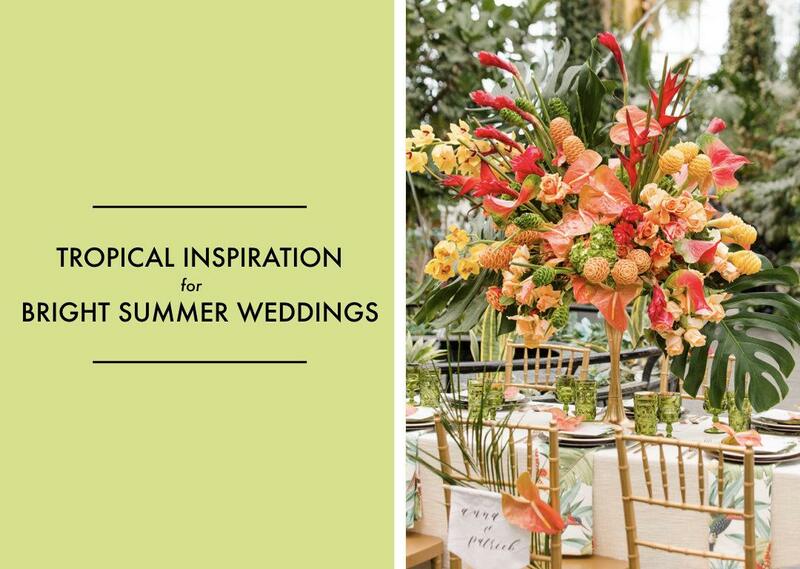 With all this tropical inspiration on the brain, we’re thinking this is the summer to go all in on the tropics. We’re ready to pick up the heat, how about you? 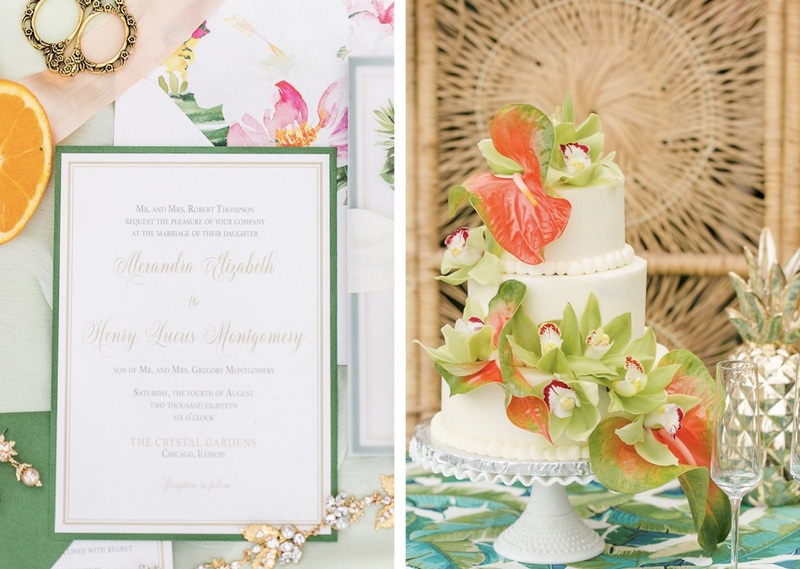 A Bright Orange and Blue Styled Shoot for Summer Weddings!